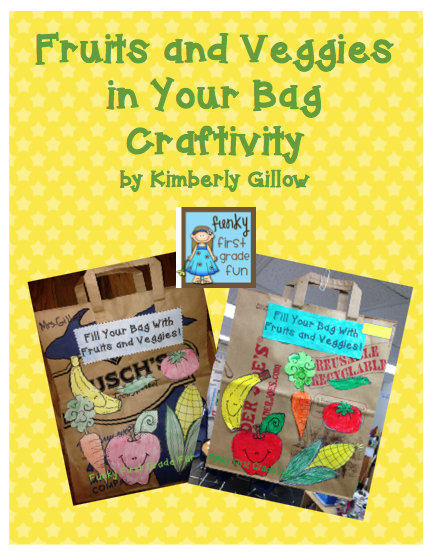 Funky First Grade Fun: Close Reading, Text Based Evidence & Finally a Crafty Activity! Close Reading, Text Based Evidence & Finally a Crafty Activity! Last week, we did a close reading using the book below during reader's workshop. It's from the Scholastic What Grows In Our Garden garden pack. Throughout the week, we also gathered text based evidence from lots of other books about why fruits and vegetables are good for us to eat. Here are a few other books from the same pack I mentioned above (with a little bit of "evidence" that students gathered stuck to the front). Food was the weekly theme for our March is Reading Month theme, which focuses on informational text. We're traveling on the Information Highway...with a different theme each week. 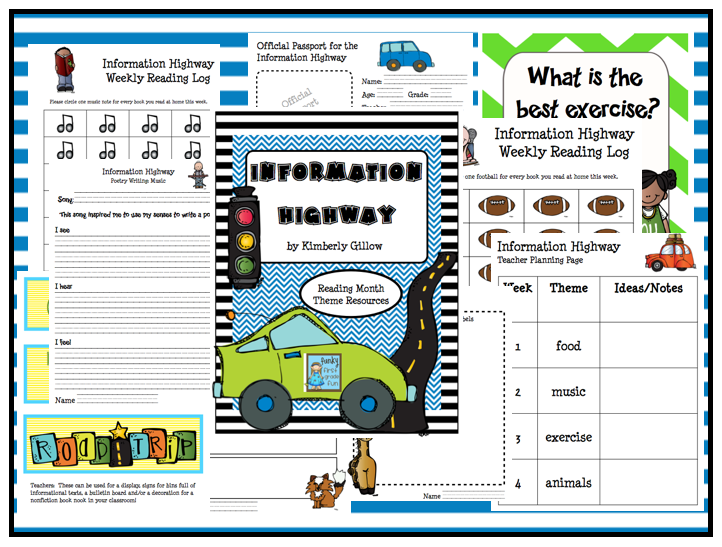 You can find the resources that we're using for this month long unit in my Information Highway unit. Here are some of the nonfiction books I gathered for us to use during our food week. We collected text based evidence about why fruits and veggies are good for us during our close reading and in small groups with different books from our collection. We added the evidence to an anchor chart throughout the week. I included the resource and the page number in a different color under each "fact". In between all these snowy/icy/whenarewereallygonnahavea5dayweek days, we finally had time to do an art project! Ta da! The parts and pieces (minus the bag) can be found in the product below if you're interested. The writing page + the resources sheet to put on the back of the bag are also included. This weeks theme is music. Makes me feel like dancin' reading!